If you’ve become accustomed to the likes of ticking off peaks, hiking trails and national parks and are looking to spice up your life. Why not try something completely mad and out of the ordinary, but at the same time is completely achievable. Interested? Let me tell you more. Set in a particularly remote and wild corner of north-western Mongolia is the stunning Lake Khovsgol, a mammoth-sized, 100-mile long lake which contains the world’s purest fresh water and is approximately two million years-young. In the summer, it’s a blissful scene of sparkling water, framed by lusciously green forests and hills, with the sounds of tweeting birds and buzzing wildlife. The winter is whole different story. 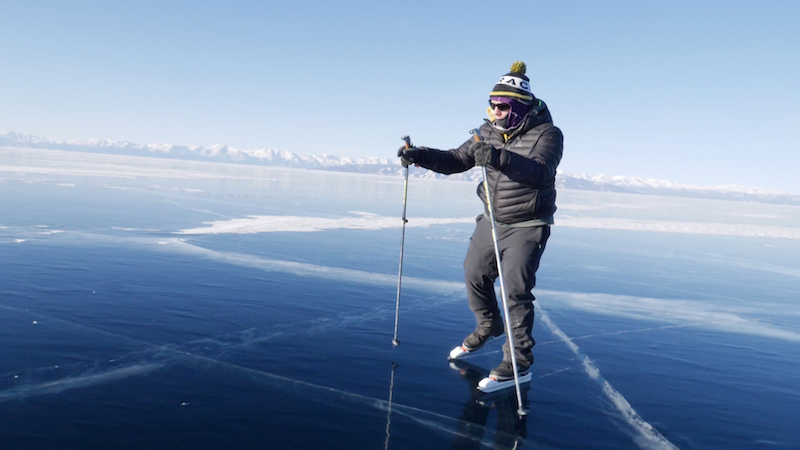 During the winter months, Lake Khovsgol’s electric blue waters completely freeze over, leaving an eerily silent, icy world with a surface layer of ice that is up to 120cm. 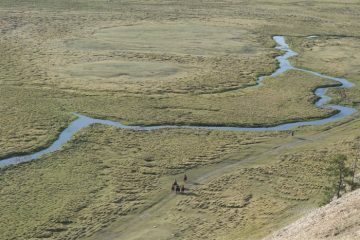 In fact, it’s so thick that the Mongolians use it as a road during the wintertime and drive over the lake in big trucks and 4x4s. 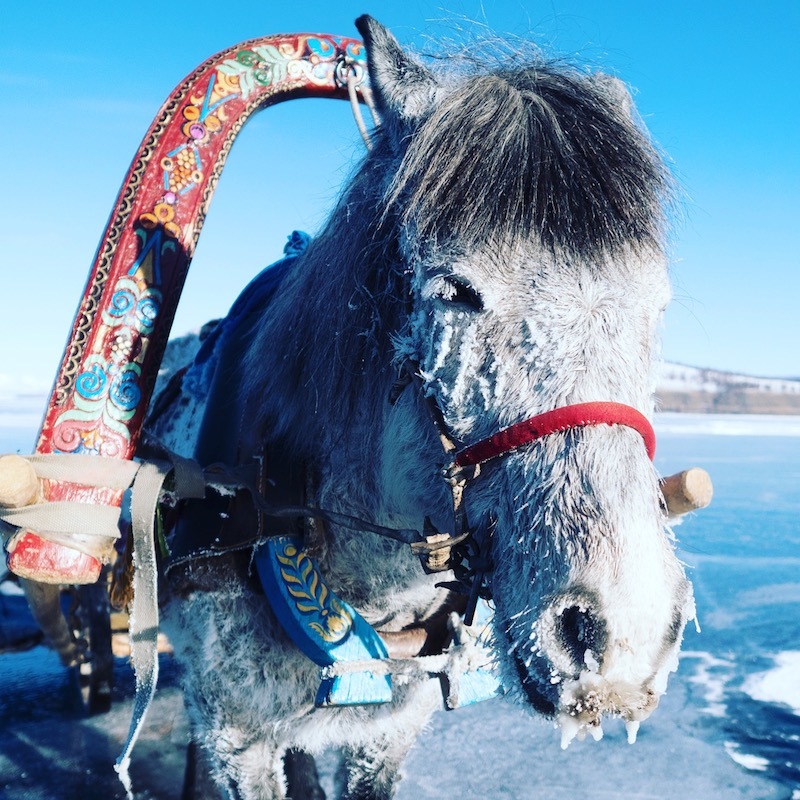 While thick ice is great for the local Mongolians, it also opens up a whole new world of adventure opportunities, and our friends at Rat Race Adventure are hosting the bucket list race of a lifetime. Take to your bike, skates, running shoes or hiking boots and experience a surreal adventure like no other as you traverse all 100 miles of this icy-maiden. 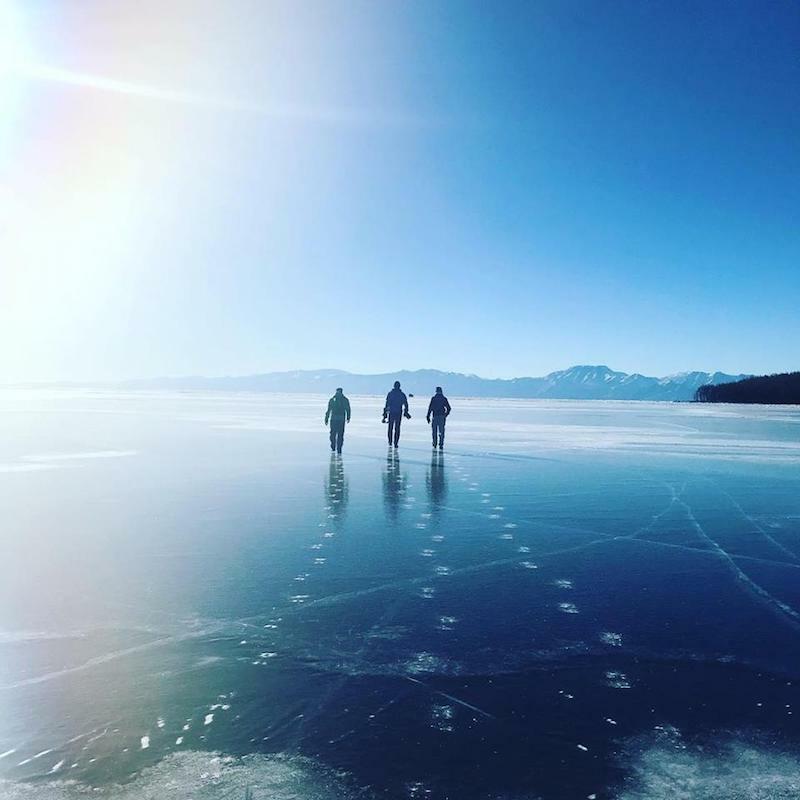 Imagine gliding across this monumental lake, through breath taking wilderness, past soaring mountains and ancient snow-covered forests, across the glittering sheet of ice that stretches smoothly out before you and toward the horizon. But it won’t be all plain sailing, oh no. This is a challenge and challenge you it will. 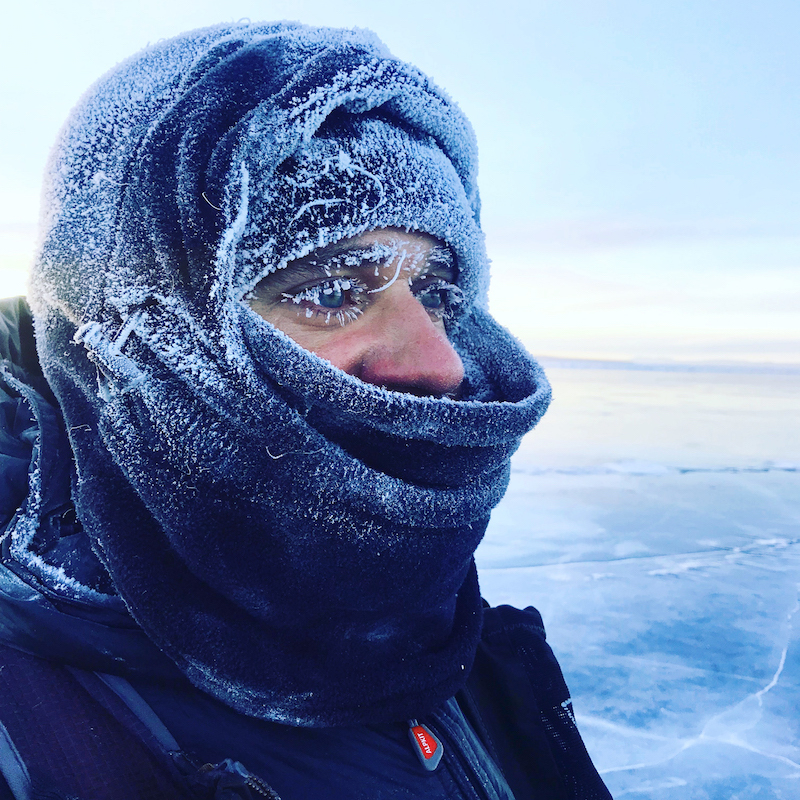 With only four days on the ice to complete your solo 100-mile crossing, varied frozen terrain and temperatures that can drop to a bone-chilling -40C, this race will be epic, but my god will it be brutal. The sense of achievement once you cross the finish line, that sits with the ice sculptures of the famous Khovsgol Ice Festival, will be sky high – this is a high like nothing else. However, the team at Rat Race Adventure will be with you every step of the way as this is an awesomely planned 30-vehicle event – so no man or woman will get left behind. On board the team, they also have sweeper crews, professional medics, a full race safety comms network and a professional campsite crew. The company wants to ensure your fun and your safety, so the route is fully marked out, checked for ice depth and is constantly monitored by their team of experienced local guides. Not only this, but you are satellite tracked for safety and supporter interaction, you’re also equipped with a flare in case you need to call for emergency assistance on the go. There are three pit-stops along your way each day which will be stocked up with hot and cold drinks and energy foods for you to refuel on. Seven night’s accommodation is included which includes experiencing a ger camp and a wilderness camp. When you run, skate, cycle or walk over that finish line you’re awarded with plenty of high value mementos such as a medal, t-shirt along with plenty of other goodies, and there is also an awesome after event party to look forward to. This includes a slap-up feast, with the beers and vodka flowing! 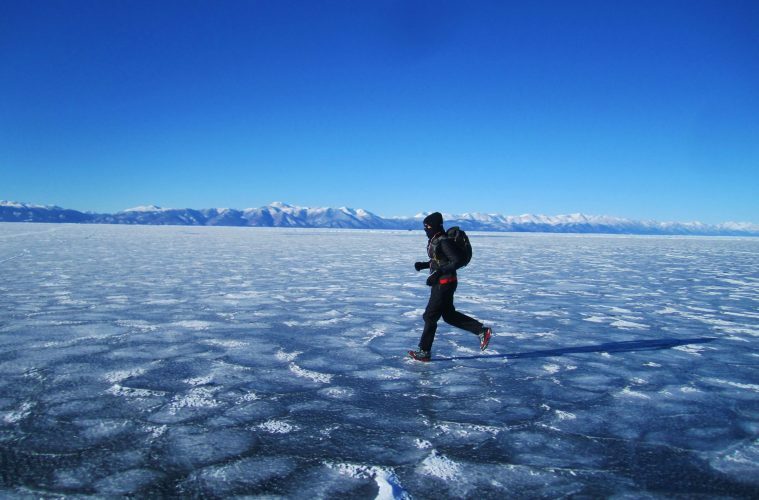 Fancy tackling this frozen adventure race across Lake Khovsgol? The eight-day event takes place between 3 March – 10 March 2019 and this is your chance to sign up to something that will change your life. Feel epic! 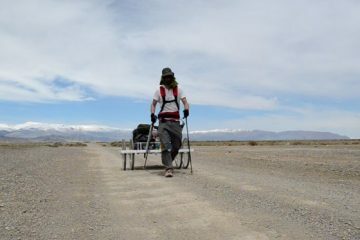 To find out more about this incredible event and the other wild and challenging events the company offer, head over to the Rat Race Adventure website.